A former Trump adviser speaks out after first Russia probe charges filed. Carter Page, a former campaign adviser to President Donald Trump, said last night he "probably" discussed Russia with the Trump adviser who has been charged in special counsel Robert Mueller's investigation. “It may have come up from time to time, again, you know, there’s nothing major,” Page said on MSNBC's "All in With Chris Hayes," referring to the topic of Russia in emails he exchanged with George Papadopoulos, the former Trump adviser who pleaded guilty to misleading the FBI about his Russia contacts. Page said he "probably" was on "a few" email chains with Papadopoulos and that the two "met briefly" during the campaign. He also suggested that he has been cooperating with federal investigators longer than Papadopoulos, whose secret July arrest was revealed on Monday. “Someone was saying Papadopoulos has been cooperating since July. I’ve been cooperating since March. I mean, I want to get the truth out there,” Page said. The Department of Justice appointed special counsel Mueller in May of this year to oversee the federal investigation into Russian meddling in the 2016 election. Investigators have conducted extensive interviews with Page, who downplays his contacts to Russia and says his role with the Trump campaign was brief. Page has also echoed Trump in calling the Russia investigation a "witch hunt." 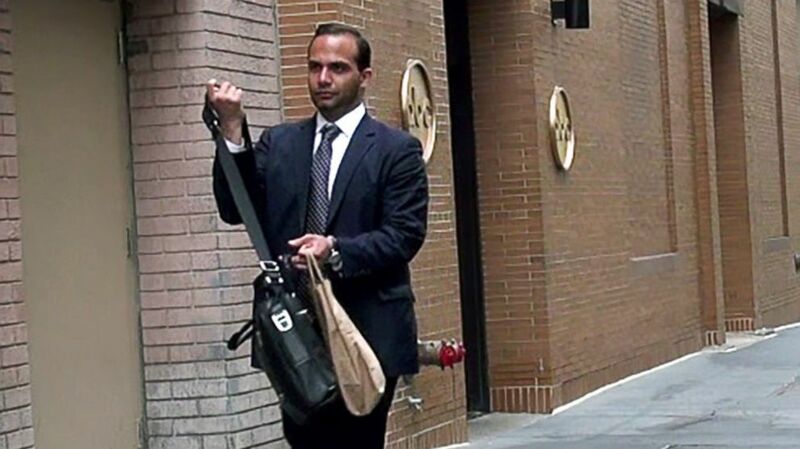 (ABC News) George Papadopoulos, a Trump campaign foreign policy adviser, seen here in April 2017 in New York City, pleaded guilty to making false statements to FBI agents. Papadopoulos pleaded guilty to misleading FBI agents about his correspondence with Russian nationals and attempts to arrange a meeting between the campaign and Russian officials, according to documents released Monday. (Alex Brandon/AP) Paul Manafort walks from Federal District Court in Washington, Oct. 30, 2017. 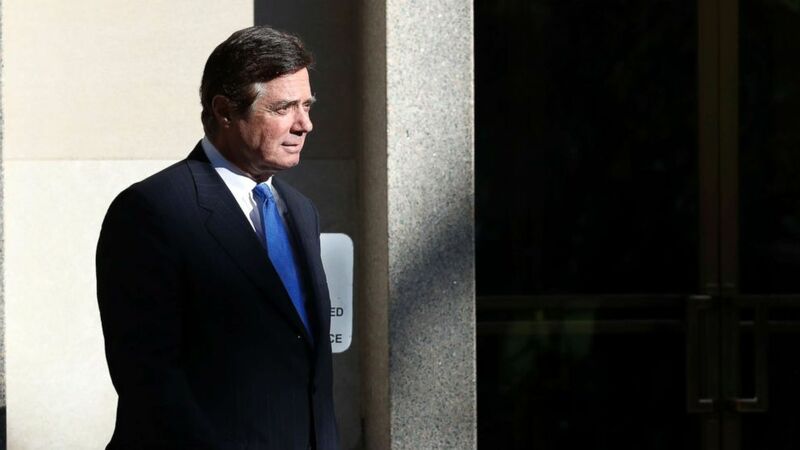 Manafort, President Donald Trump's former campaign chairman, and Manafort's business associate Rick Gates pleaded not guilty to felony charges of conspiracy against the United States and other counts. Trump's former campaign manager, Paul Manafort, and Manafort's longtime business associate Rick Gates were also indicted on charges including conspiracy against the United States, money laundering and working as unregistered foreign agents. Last Friday, Page met with Senate Intelligence Committee members behind closed doors as part of their investigation, which is separate from Mueller's. Trump identified both Page and Papadopoulos as foreign policy advisers during the 2016 presidential race, but both Page and Trump aides have downplayed Page's role with the campaign. Page, who founded an energy consultancy in New York, worked in Russia for several years. He generated controversy with a speech he gave at a Moscow university in July 2016 in which he echoed Russian government criticisms of the U.S. and called for better U.S.-Russia relations.